Purses & Wallets for Women & Men from Just £2.99! There are a few accessories that you simply can’t do without. Women’s purses and men’s wallets are surely somewhere near the top of the list. We interact with them several times every day, and the right one will help you better organise your money and receipts. More than that, they will look and feel the part, so that you enjoy showing them off when you approach the checkout! This section contains purses and wallets in a range of colours. A traditional coin purse is great for keeping your spare change in check inside your handbag, while a credit card wallet might be just the thing if you prefer to shop with plastic. We’ve also got purses which strike a happy balance between the two, offering zip compartments to hold that spare change. 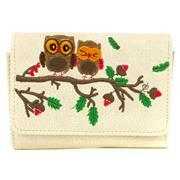 Whether you want a cute purse or a card wallet, our range is wide and varied. 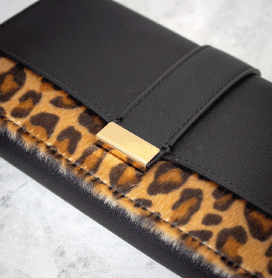 Keep those receipts, notes, cards and coins organised with our fantastic purses and wallets. Decorated purses for ladies express your personal taste, but a leather purse carries a classic appeal, too. With the help of the men’s wallets and women’s purses on offer here, you’ll be better able to organise your finances while you’re out and about. So why not rid yourself of that tired old thing you’ve been carrying around, and treat yourself to a new purse today? Check out our bags & accessories section for more fantastic products at competitive prices. With free & fast delivery on all UK orders as standard, you can save money at Shoe Zone today! 13 products from £4.99 to £29.99.